In our last 4 blogs we discussed 11 important aspects of designing an effective point-of-purchase display. In this blog, we’ll consider how choosing materials wisely can be a key aspect of effective design. Selecting the right materials for your custom retail display is an important part of the design process. There is a lot to know about materials, and the right mix of materials can make or break a display. In addition, to achieve the most cost-effective display possible, it is vitally important that the display is designed to maximize material yield. For example, if it is possible to make a wood shelf 23 7/8” x 23 7/8” instead of 25” x 25”, it means you can get 8 shelves out of a 4’x8’ sheet, rather than 3 shelves. This seemingly small difference in shelf size can result in significant differences in the cost of the display. Yield tends to be most important in working with standard sized sheets of wood, MDF, acrylic, PVC, sheet metal and graphics. Knowing material sizes and designing to maximize yield is an essential part of designing cost-effective displays. Similarly, for knock-down display racks it is important to create a design that knocks down in the most efficient way possible, which means the disassembled display will be able to fit in the smallest box or set of boxes possible. Experienced designers know, for example, that slightly flaring out the fronts and sides of baskets will enable the baskets to nest efficiently, which in turn will reduce shipping and storage costs. The 3 most commonly used materials in point of purchase displays are metal, plastic, and wood or wood composite materials. Each of these material categories has a different set of physical properties, different strengths and weaknesses with regard to manufacturability and aesthetics, and different economics. Metal is often used for the structural elements of store fixtures because of its strength and cost effectiveness. The most commonly used types of metal are tube (round, square or rectangular), wire, and sheet metal. Although it is lighter weight and better for shipping, aluminum is used less often since it is often double the cost of steel and can’t be welded to metal since aluminum and steel have different melting points. Developing a basic understanding of material economics is essential to making wise material choices. For example, a sheet metal shelf is likely to cost 45%-50% more than a wire shelf, and shipping will be more expensive since it is likely to weigh about 30% more. Similarly, perforated sheet metal has aesthetic appeal but generally costs more than regular sheet metal since it requires an extra step in the manufacturing process. Plastic materials are even more complex than metal. 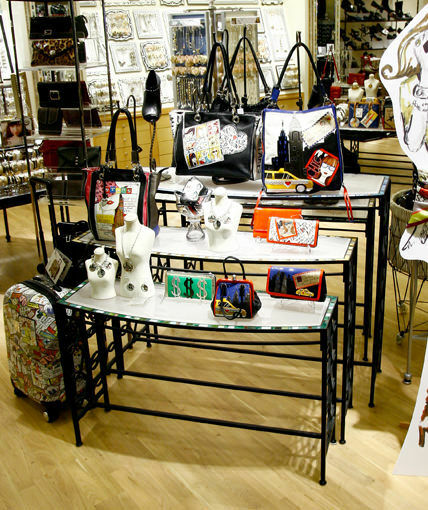 The most common type of plastic used in retail fixtures is acrylic. 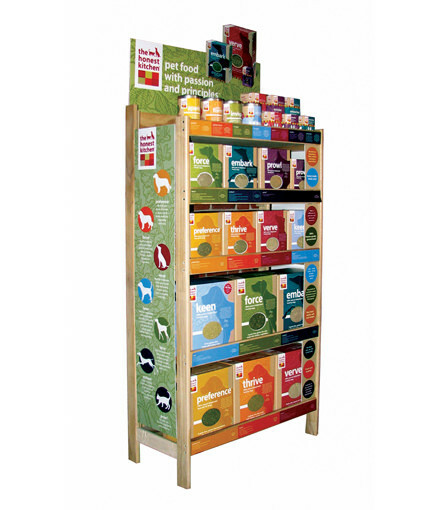 POP displays are relatively easy to fabricate out of acrylic, and acrylic displays are widely used in retail. The downside of acrylic is it can scratch easily, is more fragile and damages more easily than other types of materials, and can turn yellow over time after prolonged exposure to UV lighting in stores. Injection molded plastic shelves, bases and other display components are also fairly common in the point-of-purchase industry. Understanding the advantages and disadvantages of injection molded plastic materials such as ABS, HIPS, PMMA, and PP is important in creating an effective design. Also with injection molding, unit costs may be lower, but upfront tooling costs can be hefty so volume plays a bigger role as the tooling costs will need to be amortized across the quantity of units produced. 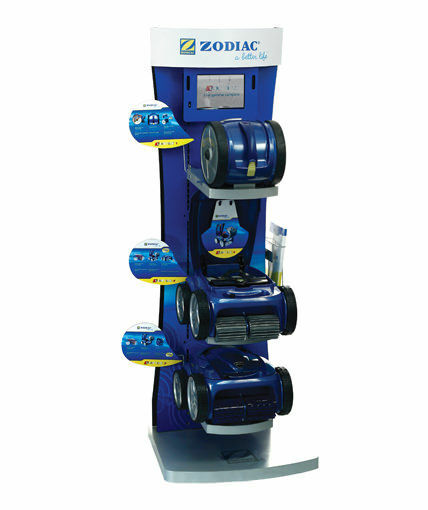 Vacuumed formed plastic is also widely used to create displays, most notably in the cosmetic industry as well as for in-store signage. Vacuum formed plastic is fabricated using a lower tech process, and therefore tooling costs are lower than injection molded tooling costs. However, vacuum formed plastic lacks the strength and durability of injection molded plastic. There are many other types of plastic fabrication methods such as blow molds and rotational molds as well as many other plastic materials such as PVC, expanded PVC, extruded plastic, and so on. If you are working with a POP display company, make sure they have a solid understanding of these types of materials. 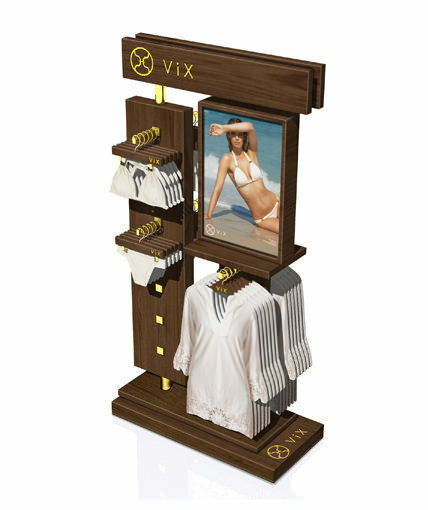 Wood and wood composite materials such as MDF and particle board are also commonly used in retail store displays. Like plastics, wood materials can be complex and knowing the best materials to choose for specific applications, as well as the cost of those materials, is critical for creating display fixtures that work. MDF with a high pressure laminate or melamine finish is widely used and relatively cost-effective, but it is generally heavier than plywood or solid wood and therefore more expensive to ship. Plywood is stronger than MDF but has fewer finish options. Pre-finished birch plywood tends to be a popular choice among our customers who require stronger materials with a more finished look. Solid wood is often a good choice for making store fixtures, particularly if the design requires a natural or organic look such as you might find in a produce department of a grocery store. Some solid woods like pine are soft while oak and maple are examples of hard woods. Selecting the right type of wood for a particular POP application requires experience and frequently depends on whether the display will be knock-down or assembled and what type of stain or finish is desired. An increasingly popular material choice for display fixtures is bamboo because it is environmentally sustainable, extremely strong, and offers a premium look. Aside from its natural beauty and inherent dimensional stability, bamboo has higher tensile strength than many types of steel, higher compressive strength than many mixtures of concrete, and a higher strength-to-weight ratio than graphite.